That game is so adorable, so cute! I'm really waiting for the rest of the history! It is very good! 1.What was Treat eating for her first 2 months in the abandoned house? Cant get past the bit where Treat is hungry....what do I do?? Then I guess your parents won't be happy if you will play this game about lesbian love story. What is the problem? Do you know how to launch it? Do you have problems with interface? ~Hello!~ My name is Willow and I may just be your biggest fan! I have played all the Lonley Wolf Treat games in the series, and I got my friends addicted to them as well! I'm on a mission to download and play all of yours games! I love you and I adore your games, your stories are the BEST! Having an awkward wolf and an energetic happy bunny get together is crazy, and amazing (hey that rhymed)! I hope one day you see this message, I want you to know how much I love you and your games. The main thing that brought to these games of yours is the fact that I'm a lesbian. Hopefully on day I can play your game on my YouTube channel (djbroomstick)! I'm a GachaTuber and I plan for sure to make a GachaLife Mini Movie (or series) of Treat and Mochi! Once again, Nami, love you and your the best ever! From your biggest fan, Willow.M. Your games always put a smile on my face because of how cute they are and they are so wonderful! I also adore the music so I would really like to play the themes of Lonely Wolf Treat and Dreaming Treat on the piano. I'd like to play those tracks as I really like how they sound and they are just beautiful. I can't find any sheet music which has the full treble and bass notes for the tracks. If you could somehow send me them, by a beepbox.co link, the sheet music or any other way, I would be more than delighted! I find it hard to find the notes from listening to the music so I can't easily find out which notes are being played. For some reason when I downloaded them and played them... They don't have any audios. I don't know what's the problem though. Um how do i put it in full screen???? It's a nice game with a nice life lesson. Aaaaaaaaaah I love this! I'd definitely say it's better than Undertale, but I don't wanna get attacked. I'm so not kidding. This game is so cute! I'm really sad there is no Mac ver. but still I've watched gameplays and it's looks really good! good game, when will it be continued? is there an estimated time when it could be released? Hey also if salt or pepper. didn't have hair covering her face what would she look like? Hi, I have not played yet, but could have in other languages, like Portuguese, which in this case is my language, but I will still play, it sounds like a great game. Dear Nami, I am on the front of my seat. 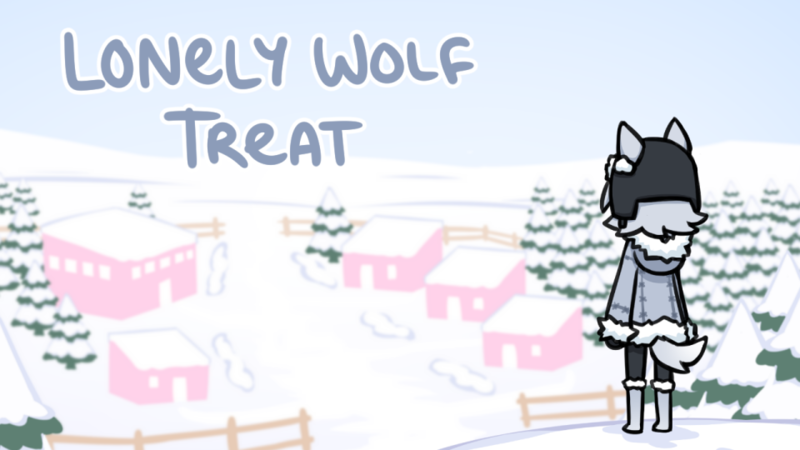 When is the next game for Lonley Wolf Treat coming out???? COME ON TELL ME! Hey I am looking thro the sounds and i see the art styles and stuff, were you going to make a game that's a mmo? 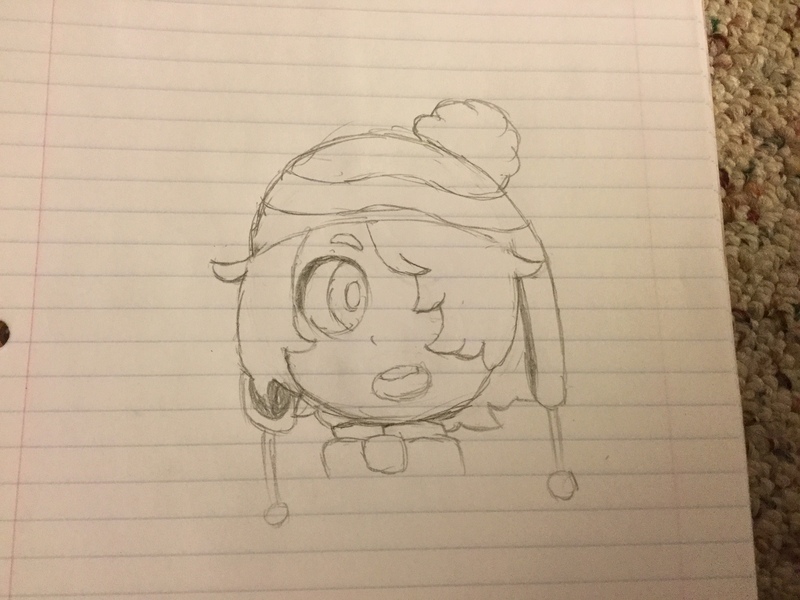 I think you did a great job drawing fanart of Mochi. I love it! how do i get water to boil? I LOVE YOUUUUUU! I can't get over your games and I love everything about all of them ahhhhhhhhh! I LOVE THIS GAME! I have been obsessed with these characters for the past few weeks! Only made this account to tell you what a great job on this series. I found this game series last year cause I was bored and wanted to some dumb game I said. I found this site and then found this rpg. Once I started playing this, I wanted to continue the story. Wish this was made into a novel. one question I hae is how do ya make this? What program do ya use? I do have RPG Maker XP, but if that's not the program, what is? thanks so much! i used rpg maker vx ace to make this game. i've been too busy to plan stuff like that but it's a good idea... i think i'll try to make a new design before december, yeah! thanks so much! I'll be sure to keep my eyes out for it ^_^ Of course take care of whatever you need to first, hope whatever you're busy with goes smoothly for you! a spanish translation exists already, though it's hosted on tumblr instead of here. thank you for offering though!